I wanted to share something that I think is pretty exciting in regards to student engagement – co-creation of virtual learning spaces. Coming next year, we here @HWDSB will be engaging in dynamic curriculum and interactions surrounding The Bruce Trail Trek (an adventure that will feature a journey on the Bruce Trail from Queenston on the Niagara River to Tobermory on Georgian Bay) which will also coincide with the 50th anniversary of the trail. Check out this Hamilton Spectator story regarding the history of the trail (http://www.thespec.com/news/local/article/705346–the-bruce-trail-at-50). We are excited to connect our schools and many aspects of our curriculum to the hike – to truly engage students in authentic and tangible ways – while promoting healthy outdoor and environmental experiences. So, on October 1, 2012 the team will begin the challenging 900 kilometre hike and hope to complete it in 30 days. As with past adventures, @HWDSB strives to have a fully interactive experience with thousands of students in our Board that will include all aspects of the Niagara Escarpment adventure. Both the Public and Separate School Boards are participating in the design of specific curriculum based on following trek. For the 2012 hike, the team plans on having a fully interactive experience with thousands of inner-city kids that will include all aspects of the Niagara Escarpment adventure. To generate some interest in the upcoming trek and to provide both students and parents with a platform to connect and participate together, we have created a website on HWDSB Commons devoted to the Bruce Trail Trek (http://brucetrailtrek.commons.hwdsb.on.ca). This virtual learning space will provide both a portal and medium to the trekkers for students – a place where they can interact, converse, reflect, and share in regards to various aspects of the trek in authentic meaningful ways. For example, the trekkers may blog or tweet about some aspect of their travels (i.e. biodiversity, local plant life, a species of butterfly, a white-tailed deer, a waterfall, etc.) and students can respond, ask questions, research and report….The list goes on and on. Students can interact as members of the larger student body of HWDSB, within the safety of the Commons, beyond their brick and mortar walls, and truly generate a feeling of solidarity as both ecological citizens and learners. Parents, too, can see the neat interactions that we are sure will occur and offer their commentary in reply (if they so wish); but, beyond that, this forum will provide that transparency I talk so often about that will allow parents to be connected to the learning of their children. This space will provide the catalyst for conversation so necessary to create a bond and relationship between teacher, child, and parent for co-producing learning. To generate some activity, the banner and logo for the trek (and thus the branding of it here) was left up to the students. We asked them to co-create the space with us. To help to decide how will advertise and promote the coming curriculum resources and activities. This gives the students ownership of the space and shows them that it belongs to them. In essence, we asked them to decorate the walls of the virtual space and to help make it theirs. The Internal Group also lacked an identity…. We received so many excellent submissions – it was so hard to narrow it down to just two: one for elementary and one for secondary. As of today, the site is updated and ready to receive the vibrant interactions of the Bruce Trail Trekkers and our students. I look forward to sharing in the fall as this project gets underway. 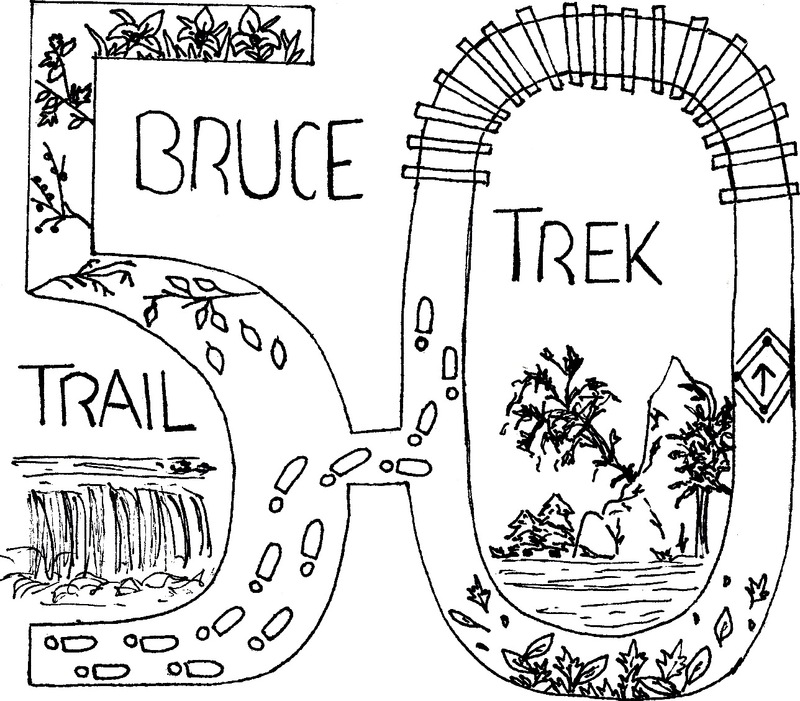 Check out the NEW Bruce Trail banner – http://t.co/QC7DWcGD Nice Work @bloggucation ! Learned tons! Thank you to the students for co-designing our site for us and making it their own!